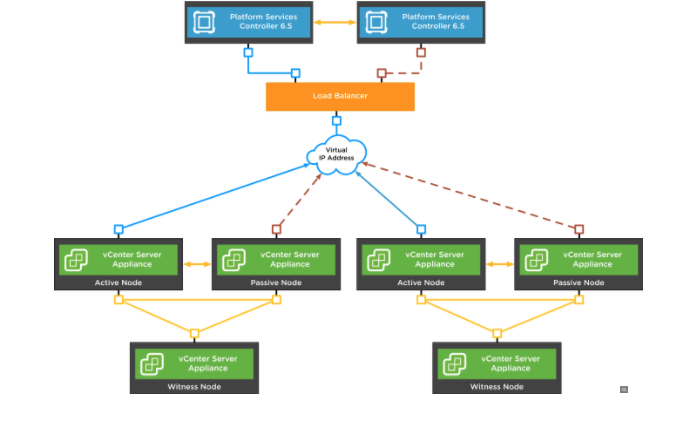 Recently was going through one of the blog by VMware which talks about the VMware vSphere 6.5 topology and upgrade planning tool, the tool has been designed keeping in mind the vSphere upgrade from 5.5 or 6.0 to 6.5 and focuses on new vSphere 6.5 deployments. If you have not yet heard about this tool you should find this blog useful, the tool is free of cost by answering a series of simple questions you can receive recommendations/KB articles and reference documents which can help with new deployments / the upgrade process. New vSphere 6.5 Deployment option is straightforward wherein we must select the number of vCenter Servers we are planning to use in the deployment + approximate number 6.5 ESXi + whether the enhanced linked mode will be used or not and last but not the least whether you would like to make use of vCenter HA which is new feature that has been made available with vSphere 6.5 which provides us with Active / Passive and witness nodes for vCenter Server with Recovery Time Objective of 5 Minutes we can read more about vCenter Server High Availability in the blog 10 Things We Need to Know about vCenter Server 6.5. Once we answered all the questions the Topology and Upgrade Planning tool give us the recommended topology as shown below where I have selected vCenter HA and Enhanced Linked Mode. If we have plans to Upgrade to vSphere 6.5 we can simply go to vSphere 6.5 Topology and Upgrade Planning Tool and select Upgrade to vSphere 6.5 by providing details including whether the current version, we are running is 5.5 or 6.0. Based on whether the current vCenter version is 5.5 or 6.0 we can provide further details for example we are using single vCenter with Embedded PSC or External PSC or maybe we are using multiple vCenter Servers with Embedded / External PSC. Based on the option we select the next questions may vary more like a flowchart wherein we specify yes or no and the next question depends on last response. 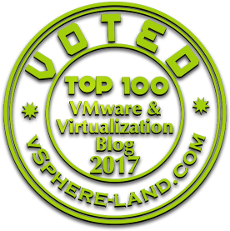 Note: If we are running with vCenter Server version older than 5.5 we must first upgrade them to vSphere 5.5 or vSphere 6.0 before we continue. Enhanced Linked mode not selected, with embedded PSC and upgrading my vCenter Server Appliance from 5.5 to 6.5. After browsing through the tool, I must say that I am impressed with the information this tool can provide, using this tool we no longer need to hop in to multiple sites for deployment guides and reference architecture, rather we can answer questions here and let the tool give us all the pre-and post upgrades guides and upgrade resources that we need for the upgrade.